Some of the entertaining antics of roosting male resin bees (with video!). They jostle for position, have a night-time and morning routine. They are small and hard to spot, but consistently visit our neighbourhood for weeks each spring. Two 'new' blue banded bee species in our area! How we went from one known species of blue-banded bee in the Albury area, to three species (in two days!). 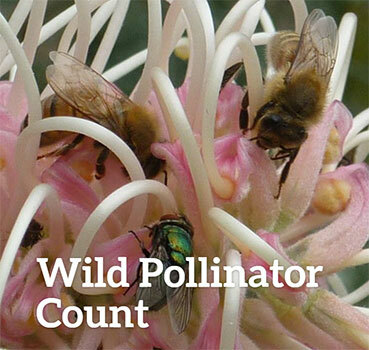 Starring Michael Batley, Dr Manu Saunders and the Wild Pollinator Count at Albury Botanic Gardens and Wirraminna Environmental Education Centre. In this video a native bee breaks its way out of the cell its mother created and sealed a year ago. It uses its mouth parts to remove the resin seal, eventually enabling it to fly off. Native bees are back - four species sighted in August! These native bees were spotted before the official start to spring. A little video of the stunning Chequered cuckoo bee. Looking for an excuse to spend ten minutes observing the pollinators in your garden or nearby? Of course you are! I'm sure you know that as well as European honeybees, there are loads of other pollinators. Not just my personal favorites (native bees!) but also all sorts of beetles, flies, butterflies and more. And relatively little is known about them. 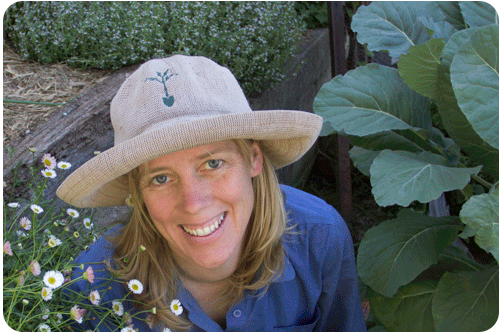 Dr Manu Saunders, an ecologist at Charles Sturt Uni, and I have teamed up to create a pollinator observation project. We hope to gather some data about local pollinators as well as trial this approach. We'd love you to get involved. The concept is simple - on a sunny day, sometime in the week of November 9th to 15th, spend ten minutes watching some flowers. Then share your observations of the pollinators you see on our project website - www.wildpollinatorcount.wordpress.com. You can do just one ten-minute count, or do a few. You might observe in the same or different spots, or on different flowers, during the week. We've even made a printable tally sheet, to help you keep track. Or you can flex your own record-keeping skills to gather your data (c'mon, I'm not the only one who loves a challenge that involves recording details, surely!?). There are lots of resources and photos on the website to help you identify the insects you see - and even if you're not sure of the identification, you can record the details you did notice. You can also upload photos, if you wish. We are focussing the count on Albury/Wodonga, but would love to have contributions from North East Victoria and Southern NSW too, so please pass this on to anyone you think may be interested in participating. As this is the first time we are running it, we also welcome any positive or negative feedback about the project and/or ideas as to how we might improve on it in future! For more information please visit the Wild Pollinator Countwebsite. Go on - give it a crack! Spring - it's all happening: first blue banded bees of the season, plus roosting Megachile bees, blue tongue lizards in the garden and the impressive work of fruit trees from bloom to setting fruit. The native bees have returned for the new season. Here are some I've seen so far. Ever seen a bee with red eyes? A close up look at how this native bee uses leaf material to create a seal that completes her series of brood cells in the hole of a bee hotel.